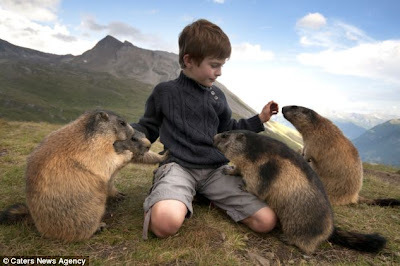 The eight-year-old built up a remarkable relationship with the creatures since first being taken to see them by his nature-loving family four years ago. 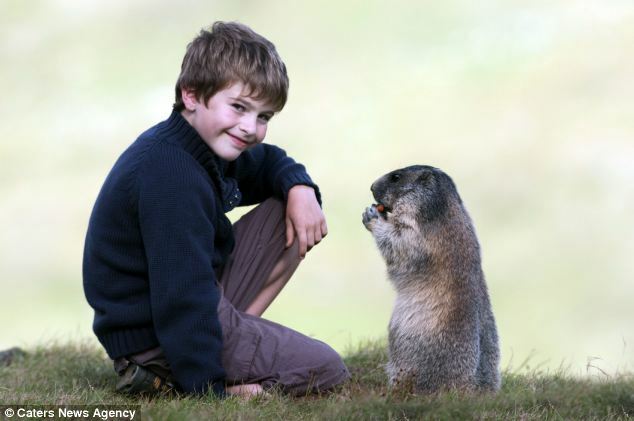 Matteo’s father Michaela, said: 'Their friendship has lasted for more than four years now. 'He loves those animals and they are not at all afraid of Matteo because he has a feeling towards them and they understand that. 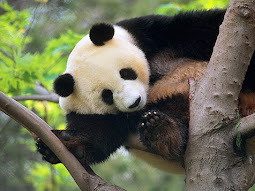 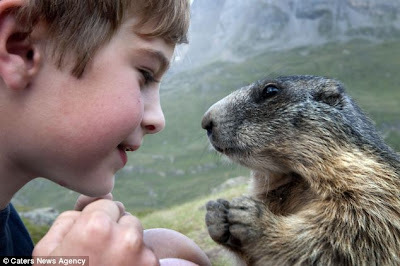 He said: 'I could spend hours watching animals - it gives me a connection with nature and its life forms. 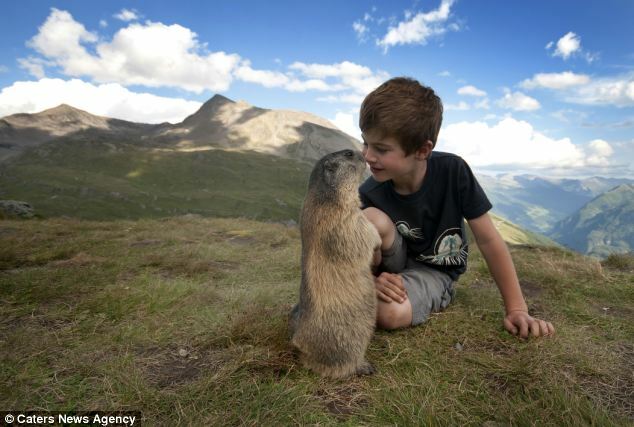 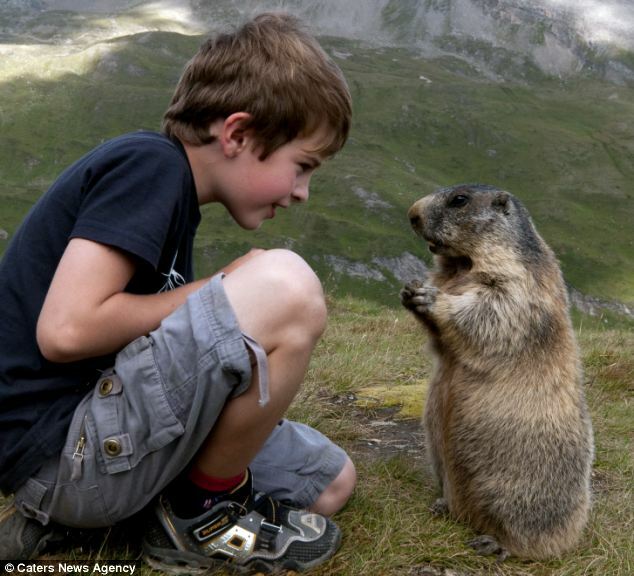 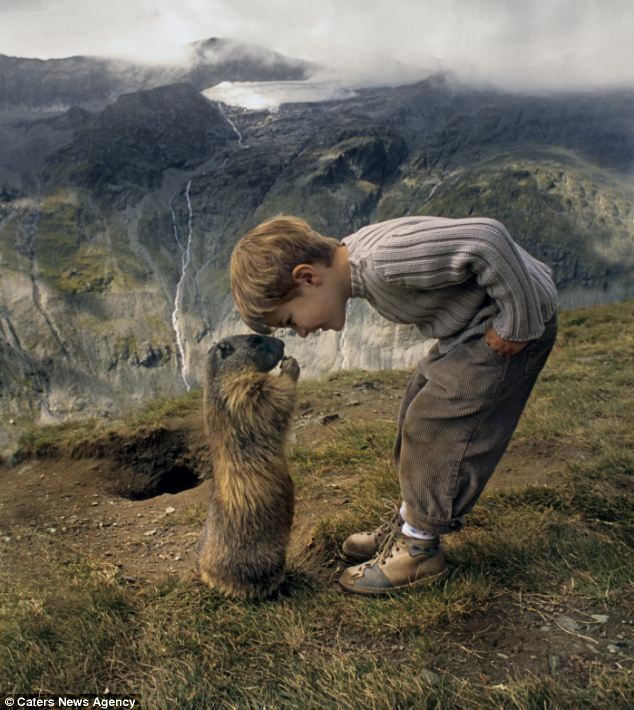 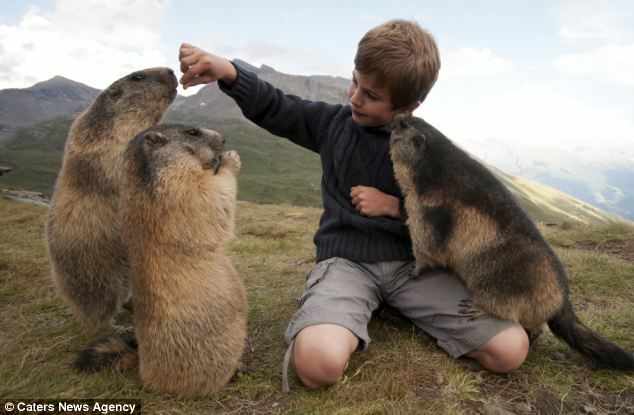 'It’s great that I have been able to document the marmot’s natural behaviour around Matteo without making them afraid of me and my equipment. Michaela, 46, said: 'The picture of a curious animal approaching me is a thousand times more beautiful than the picture of any animal looking at me in fear before it takes flight.